This series covers highlights from my visit to the Willamette Valley last summer. See the previous posts for travel tips and tastings. 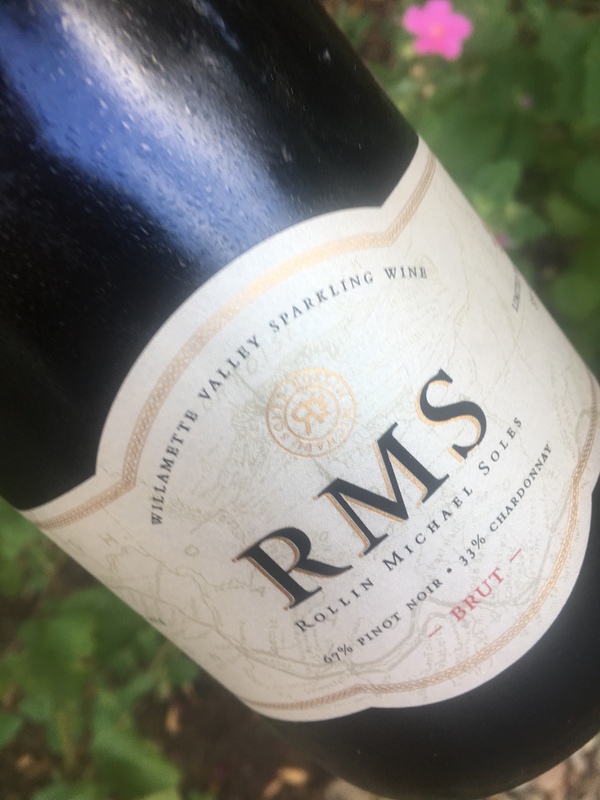 My first educational introduction to Willamette Valley wines came when Rollin Soles held a tasting at the Red Room in Austin. He poured a few Pinot Noir to compare and share about the history of the valley and his time there. At Pinot in the City, his was the only table I returned to and the first I insisted my friend visit to begin with RMS bubbles. Needless to say, his Roco Winery was on the Must-Visit list. I’d emailed early in the week to set up something. We settled on Thursday. We had a tasting scheduled for the whole group later in the afternoon but I thought, if we left early, I could sneak them in. Rollin was busy dealing with a fallen tree in the vineyard so Alex Hedges, the National Sales Manager, walked us through the wines. Again, we began with bubbles. The 2014 vintage RMS composed of 67% Pinot Noir, 33% Chardonnay. It begins with notes of apple and pear, balanced with toasty notes and citrus highlights, ending with a long warm finish. Delicious. We moved onto the Gravel Road Chardonnay. Barrel fermented, 14 months on oak, 100% malolactic on Dijon clone fruit from four vineyards. Apple, jasmine, citrus softened with oak notes. I found similar notes plus some stone fruit, with more intensity, in the Knudsen Vineyard Chardonnay. Both were lovely. Then, on to the grape that reigns supreme in the valley, Pinot Noir. He makes seven. Yes, seven. And each is as unique as you’d imagine from a winemaker of Soles caliber. We began with 2014 Knudsen Vineyard. It’s higher in elevation, its red volcanic Jory soil yields a wine that is stylistically Old World, with red and blue fruits, spicy and soft. Then to Marsh Estate. As the name indicates, it is lower elevation, sedimentary soils, planted with both Pommard and Dijon clones. Baked strawberry, cassis, cola and white pepper come alive in this New World wine. The name Stalker indicates a brooding, mysterious wine and it lives up to its name. Soles circulates the stems to add body and tannins. This wine is baked fruit and leather, fuller mouth feel, woodsy spice. Private Stash No. 12 is estate grown, a unique clone propagated by Soles and known as “The Roco Selection” which yields small, tight clusters. The wine, in turn is equally dense. Hand-harvested, clusters soaked, gently pressed, malo, racked…you name it. This fruit is given maximum care to attain maximum quality. And it shows. Full of rich, dark, dried fruit, fennel, savory notes. Decadent from start to finish. This wine has a complex cornucopia of toasted French oak, Marionberry, vanilla, coriander and Malabar peppercorn on the nose with underpinnings of perfectly cured meat. The palate is full of ripe dates, black raspberries and caramelized sugar. Pure velvet mouth-feel with a finish that has a lovely persistence of fruit and spice. 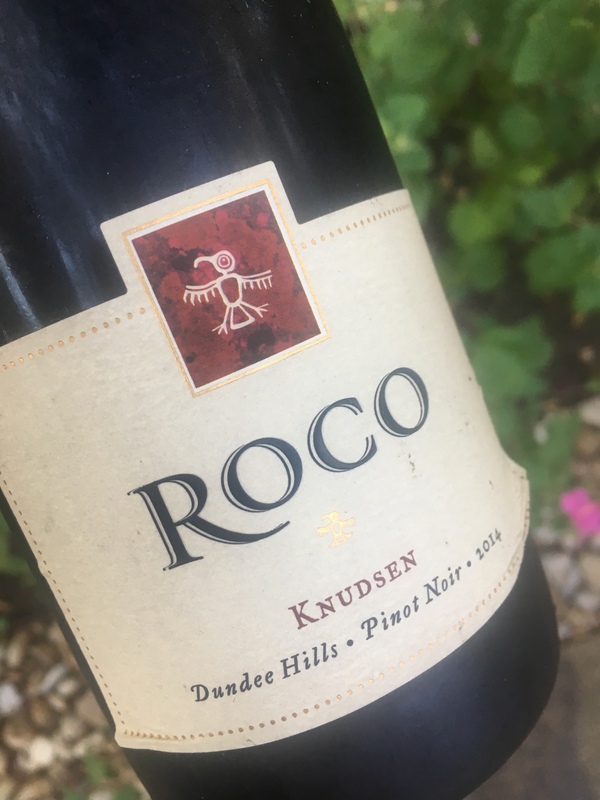 I left with Knudsen, a few of the entry-level Gravel Road (bright red cherry, orange peel, easy-drinking), the RMS bubbles and even more respect for the winemaker. Nuanced, complex, approachable, refined. Each lot of fruit is treated delicately, allowing the character of the fruit to shine. And speaking of character, you’re sure to have a few laughs and surprises if you’re lucky enough to meet Soles. If you are ever in the Willamette Valley, I highly recommend a visit. In my teens, it was movie stars. In my twenties I transferred my affection to musicians. Now in my (very late) thirties, I have become a bit of a winemaker groupie. No, I don’t have posters on my walls or anything, but learning the history and personal anecdotes from behind the scenes, or should I say bottle, gives me a little thrill. So much goes into the production of good wine. Careful selection of the grape best suited to the terroir, monitoring weather patterns, careful pruning and nurturing of the vine. Through years of study, experience, and intuition there are decisions to be made about how and when to harvest, types of fermentation, and how to age the wine. It is truly a marriage of art and science. It is, therefore, not surprising that when I had the opportunity to meet Rollin Soles, of Argyle Winery and Roco Winery, I jumped at the chance. Originally from Texas, Soles attended Texas A & M and earned a Bachelor’s degree in Microbiology. He went on to Enology and Viticulture at UC Davis and, after working in Switzerland, Australia, and California, he found his home in Oregon. In 1987 Rollin began Argyle Winery. Through his dedication and expertise, he has been instrumental in securing Oregon’s place in the wine industry. It didn’t take long to realize that Rollin Soles is his own man: intelligent, free-spirited, and not afraid of stepping outside the box. Within the first five minutes of meeting, he was eliciting participation in a prank on a local wine merchant. He told stories of snagging samples of fruit in Burgundy, much to his host’s chagrin. At Argyle, Rollin became one of the first winemakers to use screw-top closures. And now, he and his wife have begun ROCO Wines, in addition to his venture with Argyle. This man knows Pinot Noir. We sampled three from his ROCO line and they were each uniquely delicious. Rollin described 09 as a perfect summer, the kind that would entice visitors to never leave, and the fruit as “voluptuous.” You can taste that in the glass. The wine is just lovely to look at, great clarity and a beautiful ruby red with a hint of violet. On the nose, full and juicy cherry notes with a hint of blueberry. The palate was similar: black fruit and cherry with a hint of earthy spice and maybe something smoky. Light tannins and full flavor. If 09 made visitors want to stay, 10 made residents want to leave. In color, this wine was straight ruby. Compared to the 09, it seemed more Old World in style. I noticed red cherry and a lot more earth in this wine. Rollin shared that Pinot is a grape that really allows the earth notes to shine through. The French refer to that as, “sur bois.” This wine had an incredibly long finish, a sign of a great wine. Our final taste of the evening was the 09 Private Stash from the Wits’ End Vineyard in the Chehalem Mountains. Rollin and his wife planted their vineyard with the best Dijon clones he could find. It shows. This wine was magnificent. The nose was powerful and inviting, perfumed and luscious. It lived up to that promise: Bright red cherry, blackberry, and mouth-watering spice. The finish was almost sweet, with lingering notes of burned sugar. Pure elegance in the glass. It is everything you’d hope for in a Pinot Noir. When Rollin Soles first began marketing his wines from Argyle Winery, Oregon wines were not yet well-known. In fact, he had a hard time getting an audience at some restaurants. That is hard to imagine now, when Oregon’s Pinots are known as the New World counterpart to the Old World Burgundian wines. This is due in part to Mr. Soles and his tenacity, his Texas spirit, and dedication to quality. So next time you enjoy a Pinot Noir from Oregon, raise a glass, or maybe tip your hat, to Rollin Soles. I know I will be doing so in the near future. 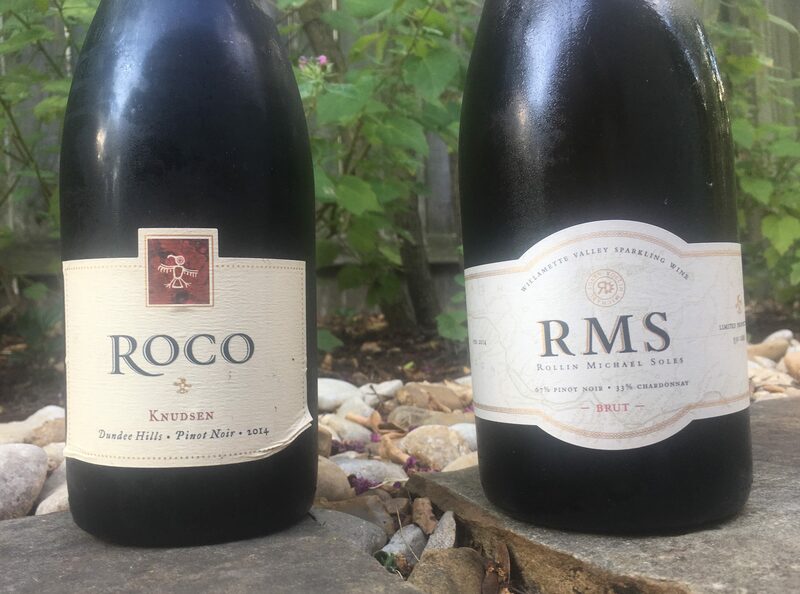 Love ROCO wines by artisan winemaker Rollin Soles…his sparkling truly is like channeling Champagne. Great post! Agreed! I have a bottle in my fridge for my upcoming birthday.